Visiting Chicago? There's a new Soho House in town! The term ‘home away from home’ is perhaps used a little too often when describing various travel destinations, but in the case of Soho House, it really does apply. The members’ club owns properties in London, Berlin, New York and some other cities across the U.S., and it’s catering to a younger demographic than the words ‘member’s club’ might make you think. Their latest opening is located in Chicago’s Fulton Market District and it has many features we already loved at the other Soho Houses: A great spa fully stocked with Cowshed skincare products, several really good restaurants (among them an offshoot of 12hrs’ London favorite ‘Pizza East’) and a fancy rooftop pool. 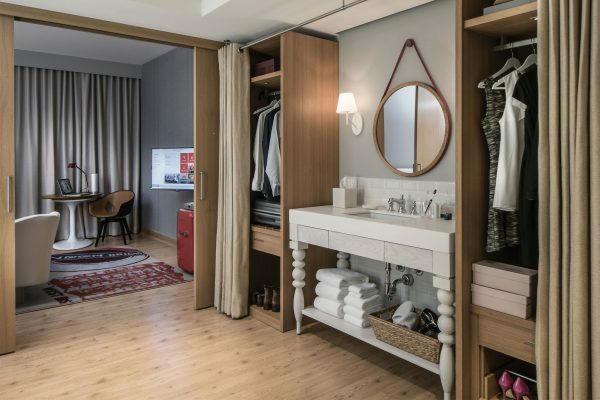 All these amenities are accessible to the club’s members, of course, but you can also enjoy them if you happen to stay in one of Soho House’s hotel rooms in the building. These rooms look elegant and cozy, come with walk-in rainforest showers, Egyptian cotton sheets and all the works, and set you back way less than a full yearly membership. And yes, you’ll feel right at home!